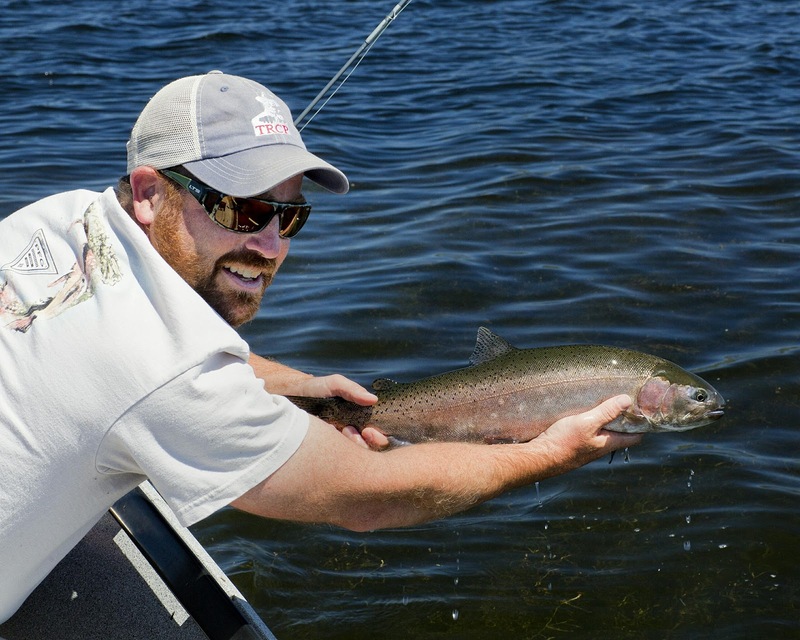 The Klamath Red Band Trout and the Single Handed, and Micro Spey Fly Fishing equal a perfect match! 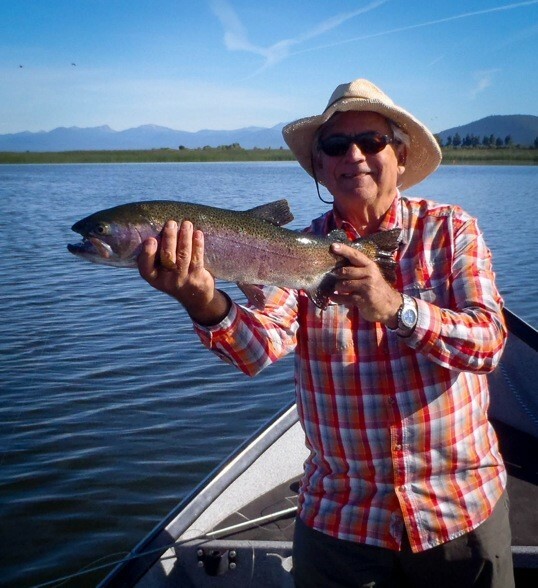 Some say that the Klamath Basin Red band trout is a landlocked steelhead and I would have to agree. 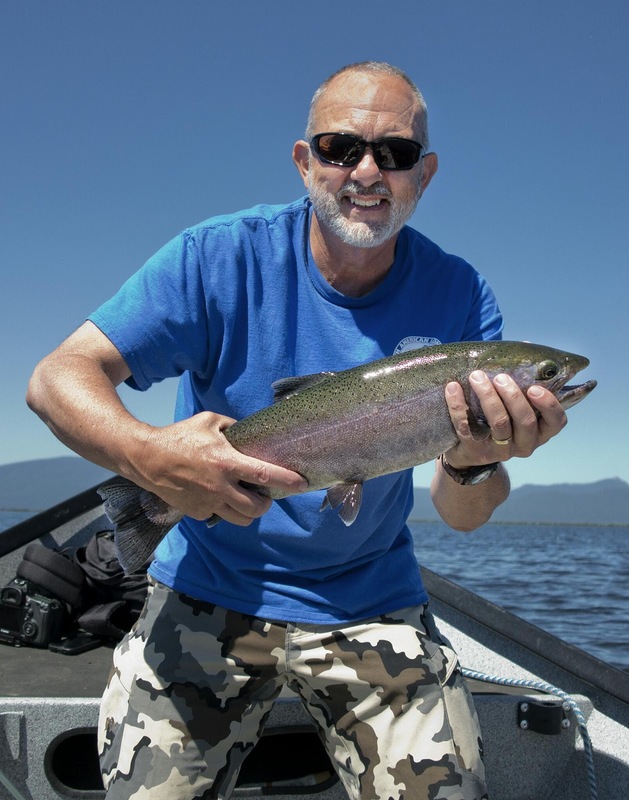 These fish grow large in the fertile Klamath and Agency lakes (the two lakes are actually one, with some reclaimed land in the middle) and have a attitude that is only matched by the wildest of their steelhead cousins. 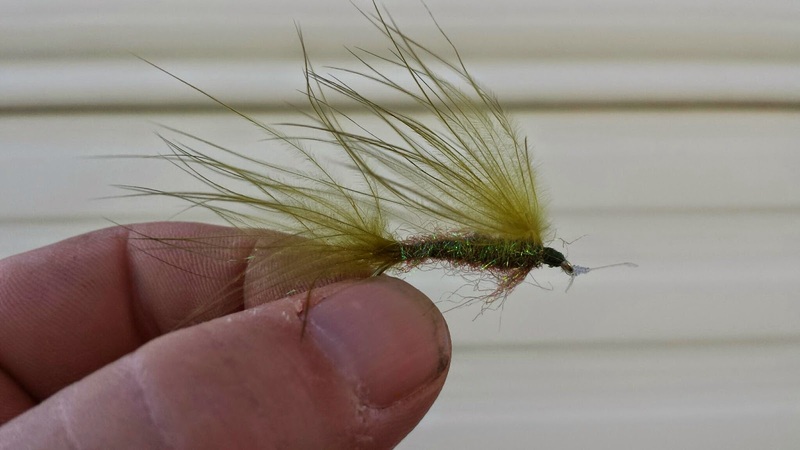 With the rage of the micro-speys coming on strong, Southern Oregon and the Klamath Basin should be on any serious Speyiter's Bucket List. 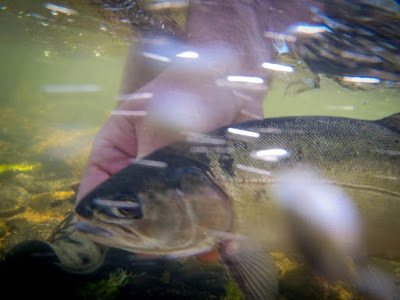 The fish will stay in the lake as long as they can, even in the summer around the cold water springs, but they are forced up the cold water rivers once the lake heats up. This is the best time of year to fish the Williamson and Wood rivers. There is also a fall push up the river to spawn. During this push I enjoy fishing the run above Chiloquin. The holes above Chiloquin take me back to when I was a kid, as these were the holes that were within walking distance of where I grew up. 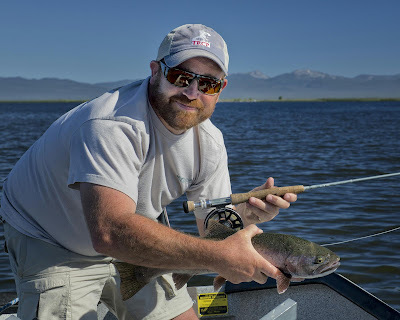 The Klamath Basin Fisheries are amazing. The lake (like the Pacific) fuels the whole system. 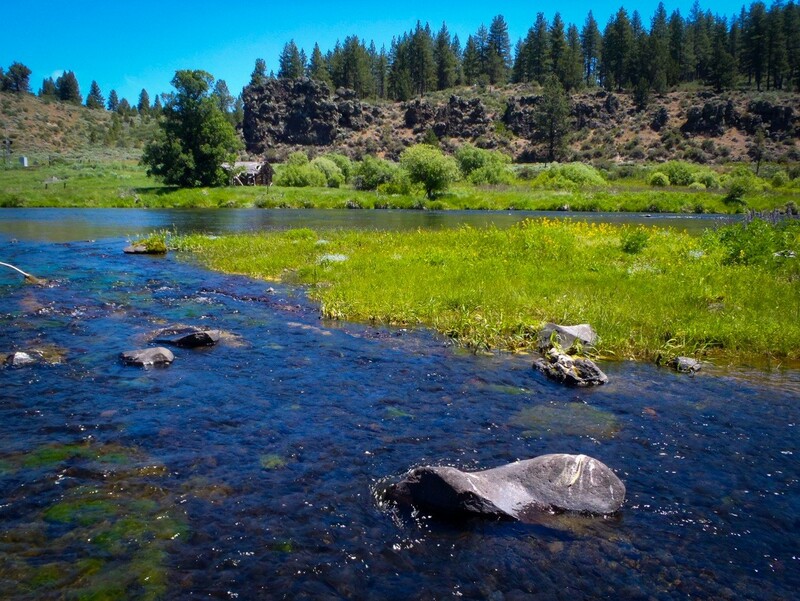 If you want to chase a trout, that take a swung fly, look no further than the rivers of the Basin. You owe it to yourself to experience these fish! The Klamath/Agency is the heart of all the Basins fishing. If you ever drove past it you can understand how this fishery grows such large fish...the evidence will be all over your car. 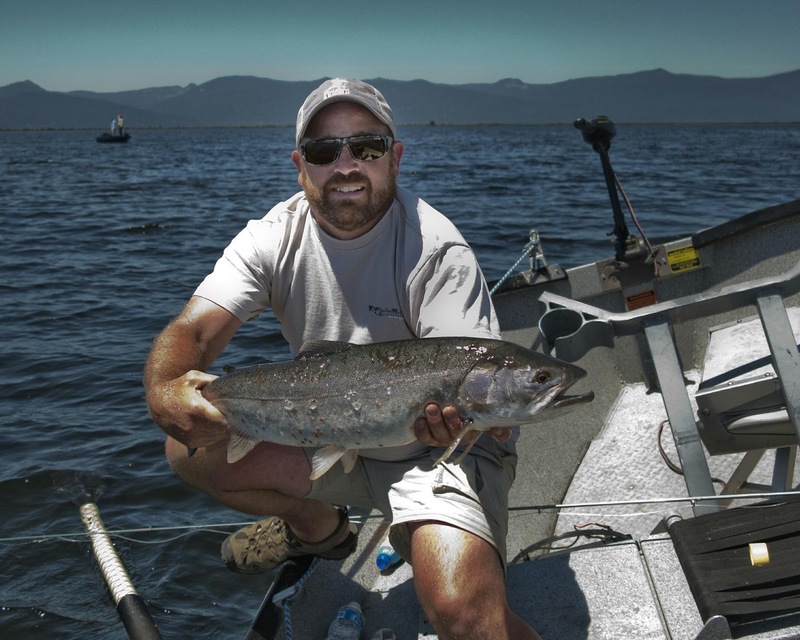 The Klamath/Agency lake is a huge shallow body of water. this produces one of the most fertile lakes in the west as the aquatic insect life is second to none. 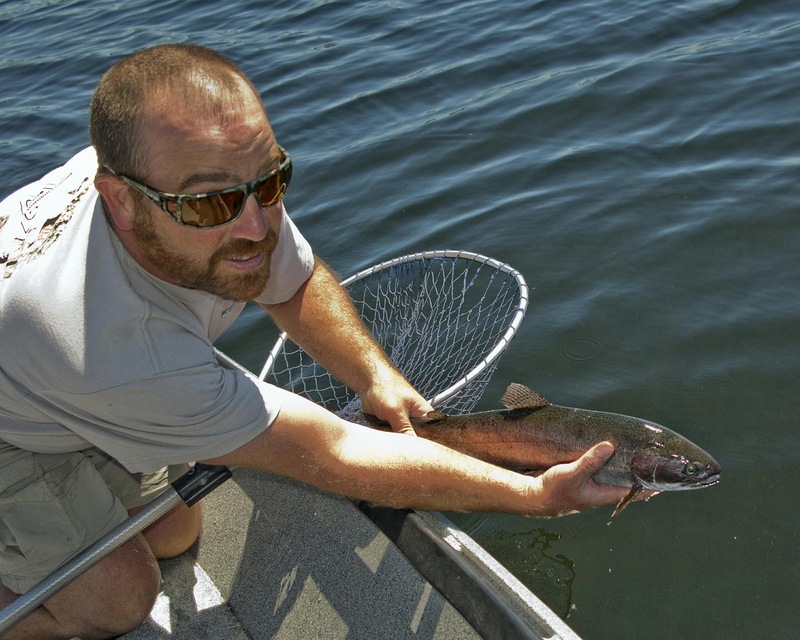 The Red Band Trout (Land Locked Steelhead in my Opinion) have more food than they can eat. The shallow lake also creates a problem for the Trout though...high water temps in the summer. Red Bands are always looking for the perfect water temp, but they also are reluctant to leave the fertile waters of the lake so they seek you the areas where the cool springs mix with the warm lake water so they can take advantage of the both worlds. Once the lake gets warm enough they have to even leave these areas and move up the cooler Wood and Williamson Rivers. As of 6/16/2015, due to the higher lake conditions, the fish haven't made their huge push yet, but are staging at the mixing of the waters. With the increased daily air temps and lake temps I expect the Fish will be making their way up the tributaries any time. until then find the cold water spots on the lake. 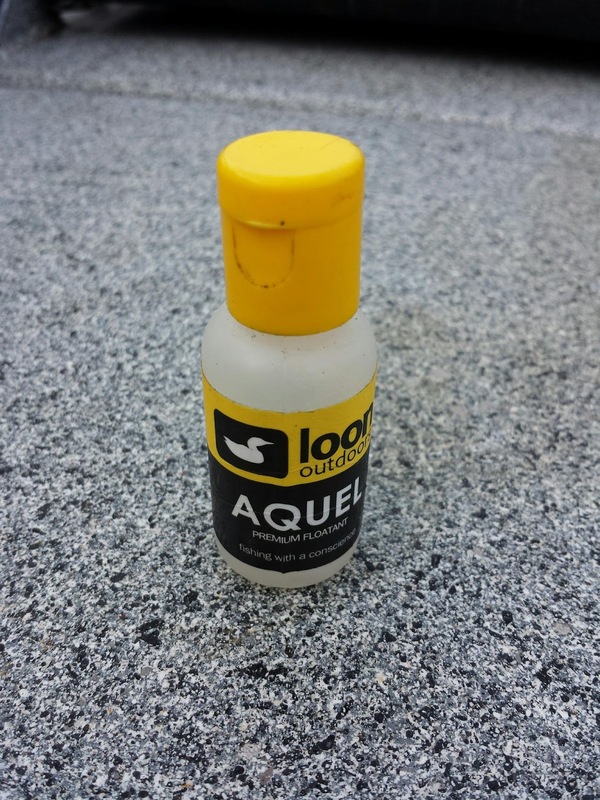 Fish your slime lines and leaches on the strip. there are a ton of fish this year so get out there. Steve, with a close encounter of the Klamath Basin kind! 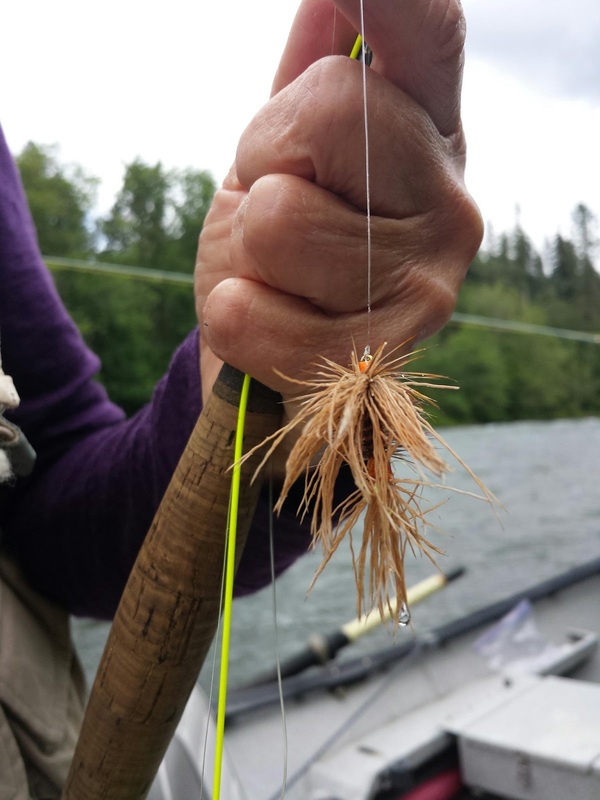 Are you new to fly fishing? 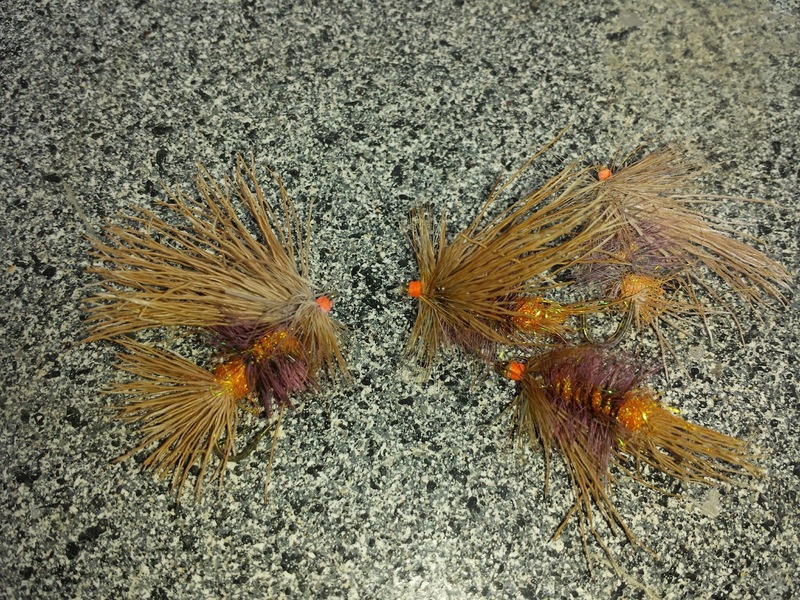 Do you have someone in your house hold that you want to get into fly fishing? Or do you enjoy catching more fish than you can count? If you answered yes to any of these questions then you owe it to yourself to fish the salmon fly hatch on the Upper Rogue! It seems like every fish from Shady Cove to the Hatchery knows what a Salmon Fly is, and that knowledge starts a dry fly feeding frenzy that is unmatched. This hatch brings well over 50 fish a day to the boat, and not only small trout are looking up. 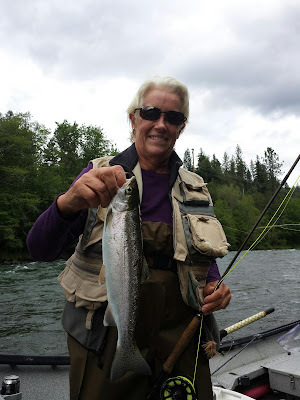 In a normal day we may see steelhead and large cutts. If would have some winter rust in your cast, or just need to get out....hit the Rogue before all the Salmon Flies are gone. The Casualties on the right! 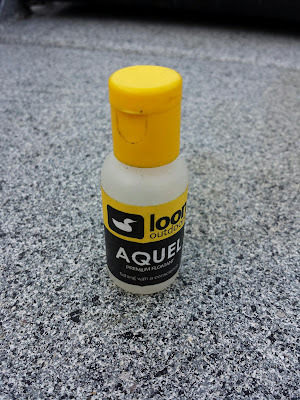 This stuff is like a blood transfusion, it allows our flies to fight another day.